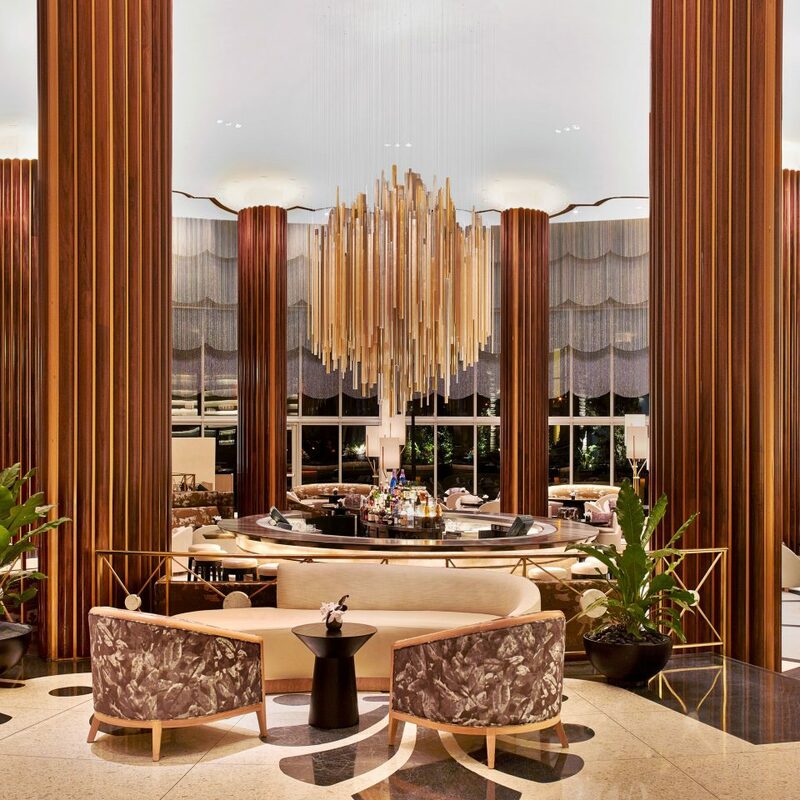 Aesthetically, the Eden Roc Miami Beach falls somewhere between the whitewashed cool of many boutique South Beach stalwarts and the familiar look of an upscale chain. 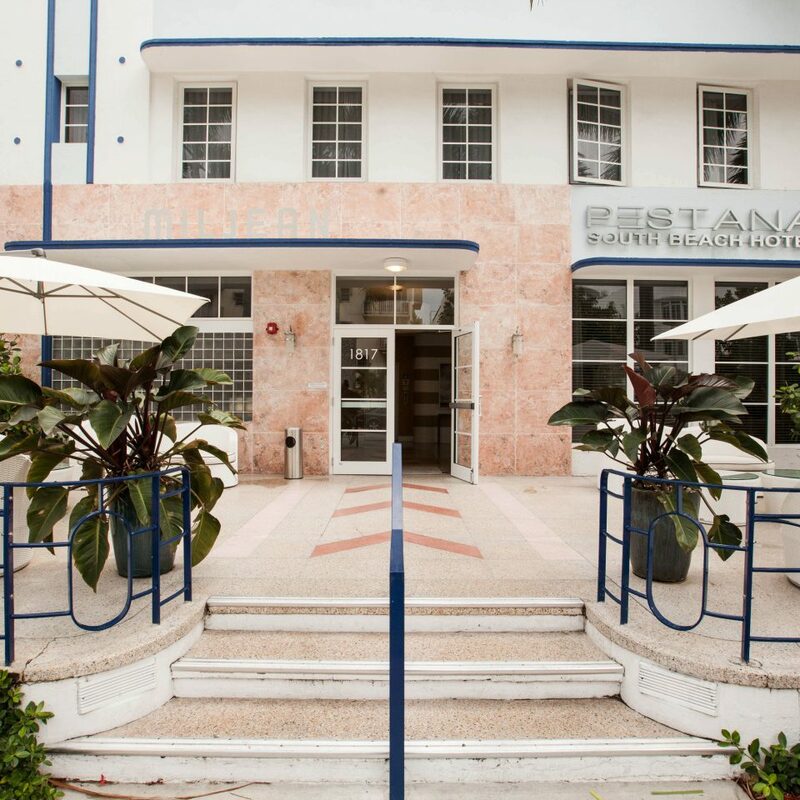 The resort’s 631 rooms and suites sprawl across a renovated historic building dating back to the mid-1950s, as well as a newer tower added in 2006. 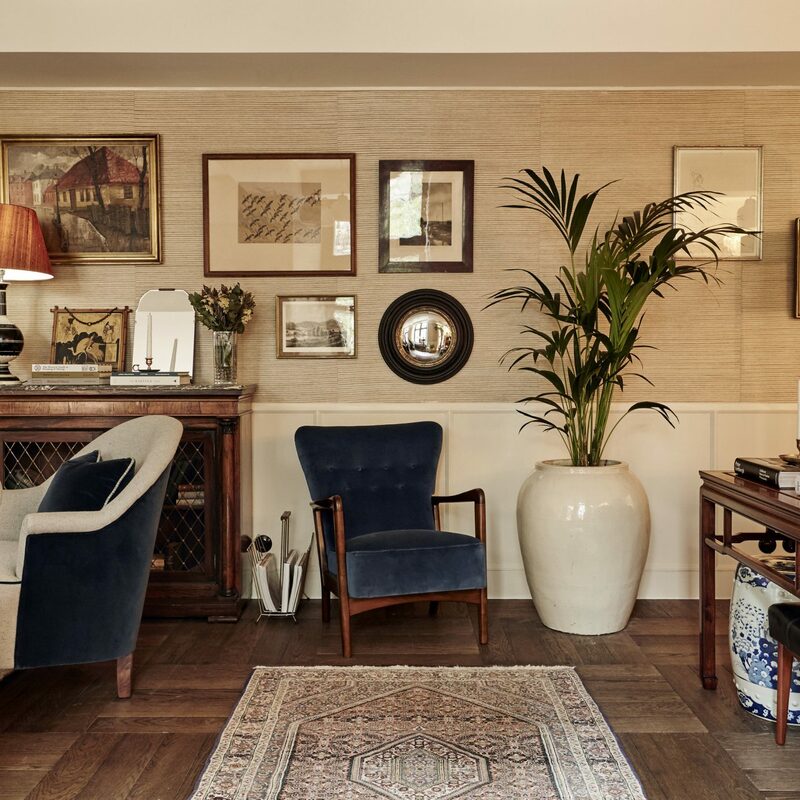 The decor is comfortable but somewhat predictable (safe, muted colors and basic furnishings). That said, the guestrooms follow a familiar floor plan, save a cheeky view from the tub into the bedroom area in some rooms. 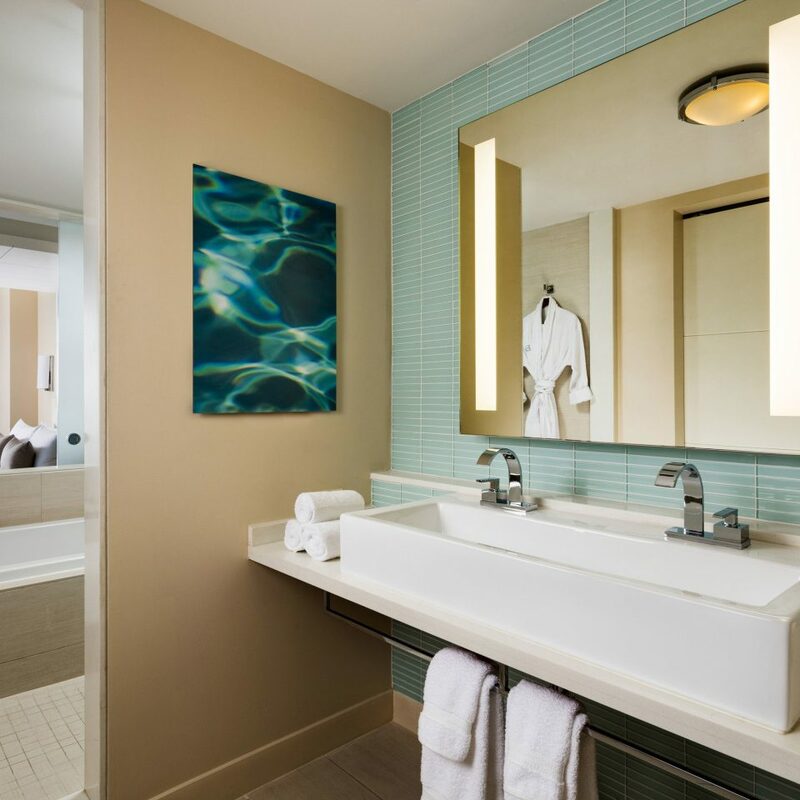 For a roomier feel — think floor-to-ceiling windows and a jetted whirlpool tub — book one of the suites. The views alone are worth it. 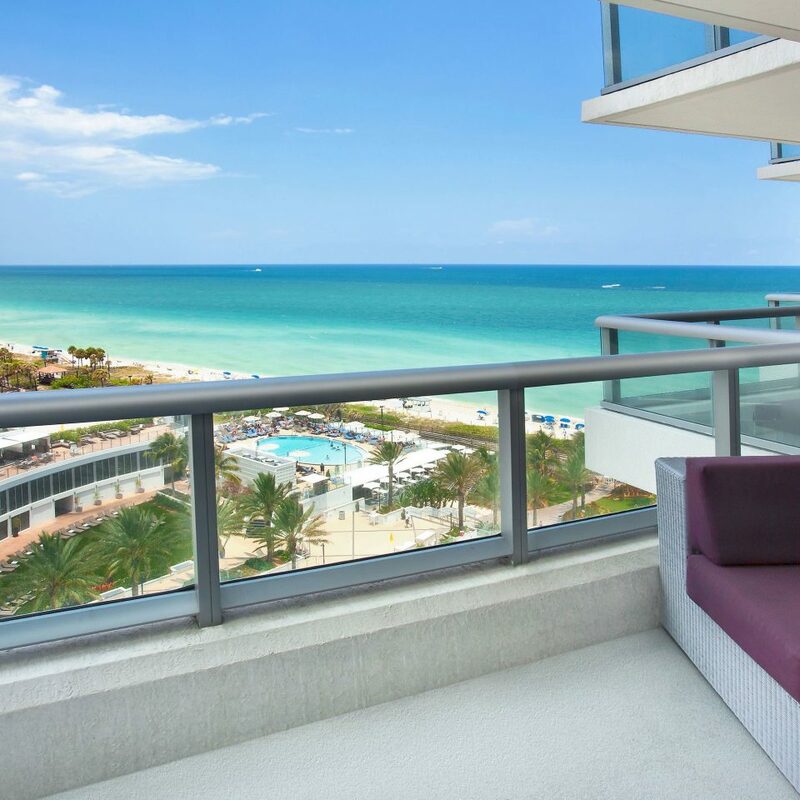 Even the smallest room categories (Deluxe and Intracoastal) are spacious, at 430 square feet. 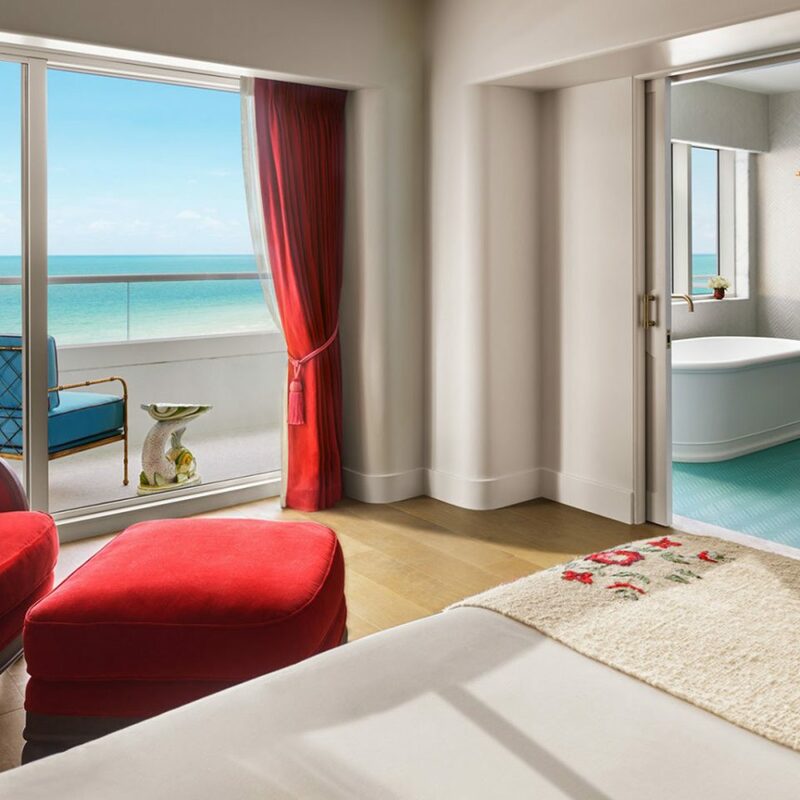 Even with their size (they’re notable for being some of the larger hotel bathrooms on Miami Beach), though, not all rooms come equipped with separate bathtubs; book a suite if soak time is imperative. However, all bathrooms do have rainfall showerheads, plush bathrobes and a selection of Aveda hair and skin products. 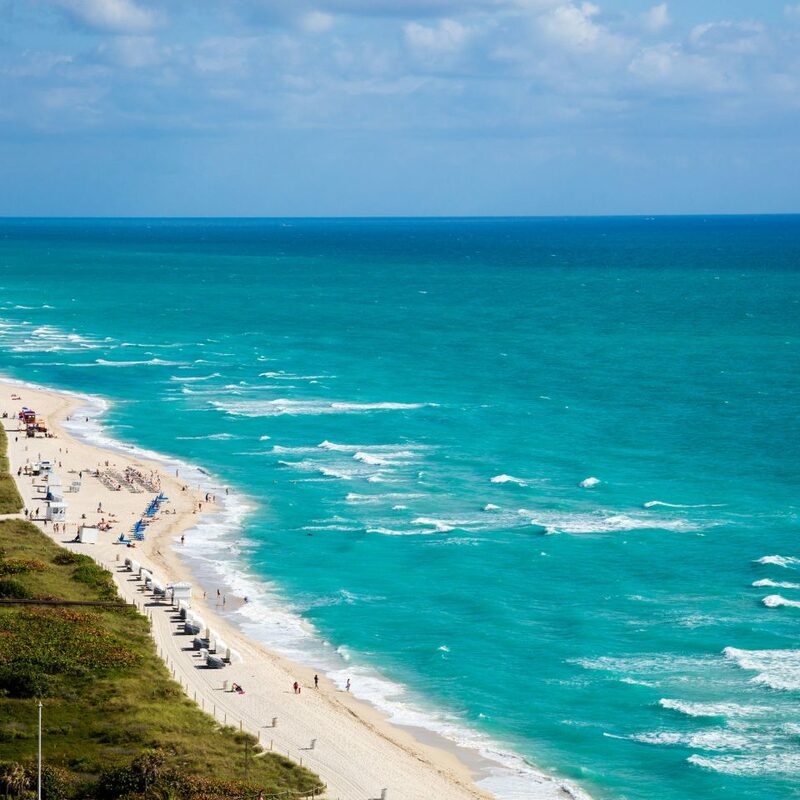 The upside of being two miles north of sceney South Beach is that Mid-Beach is less crowded and the water more pristine. 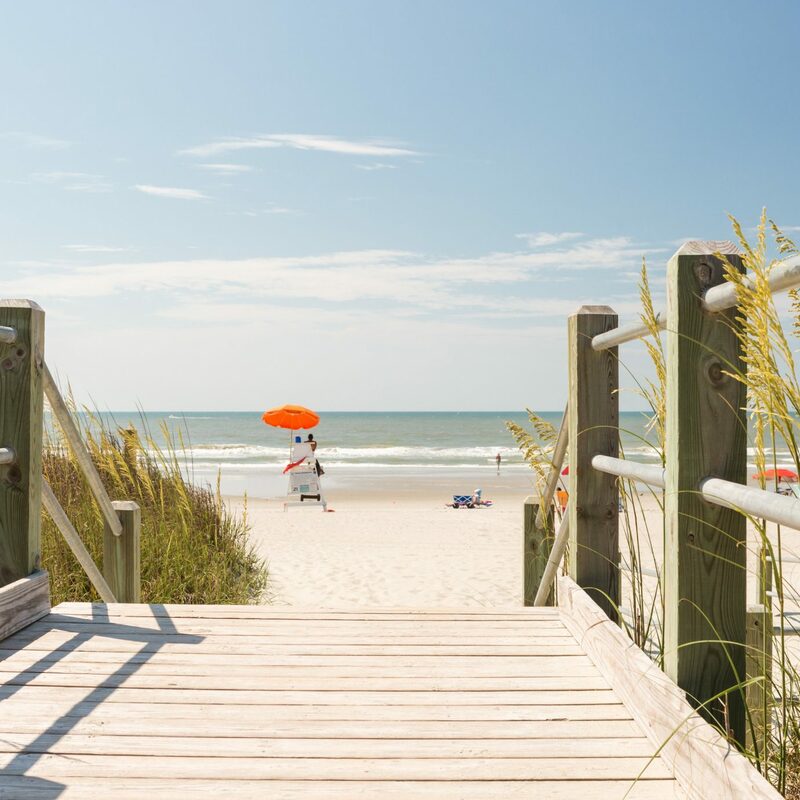 Two beach chairs are included in the resort fee, but there are four different pools to hop between if that’s the scene that fits you best. 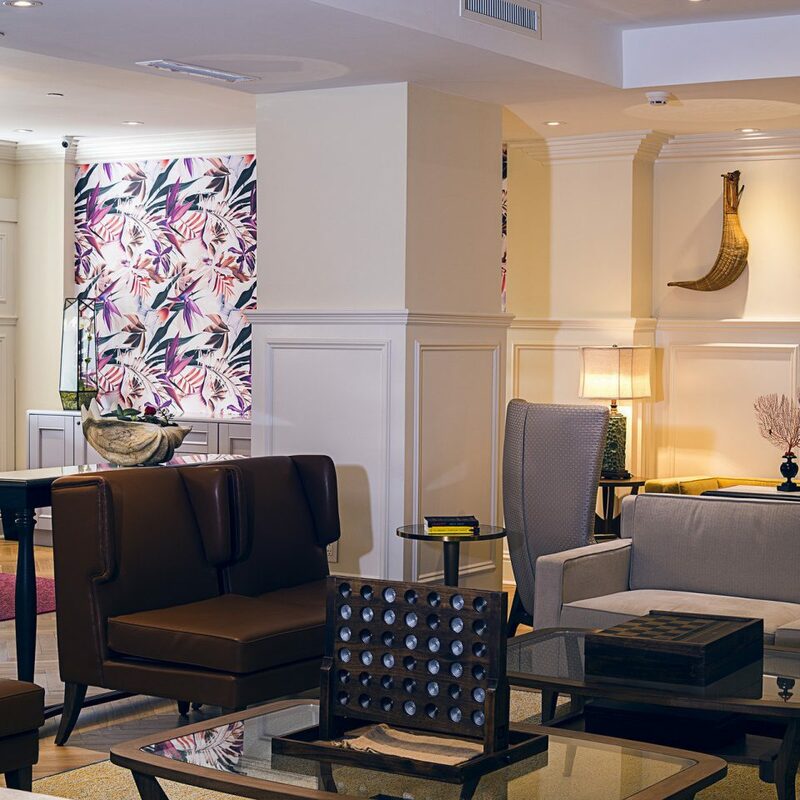 For prime relaxation, you can book a rooftop cabana at the Spa at Eden Roc, but you’ll still feel quite pampered in the spa’s main (coed) lounge, with its cream loungers and pretty potted plants and soothing sculptures. Treatment-wise, couples massages and four-handed facials are popular, and the scrub bar is a great addition to the spa’s sauna and rain showers. 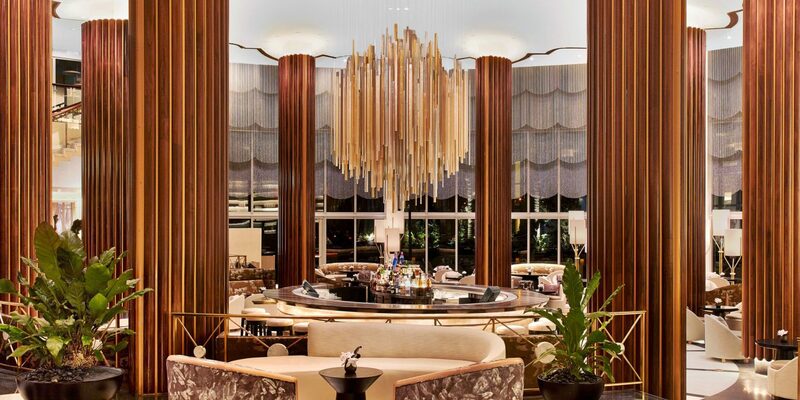 Once you’ve worked up an appetite, sample classic food infused with Latin and Caribbean flavors at the oceanfront Cabana Beach Club, or snack on casual fare alongside a dirty martini at the circular lobby bar. 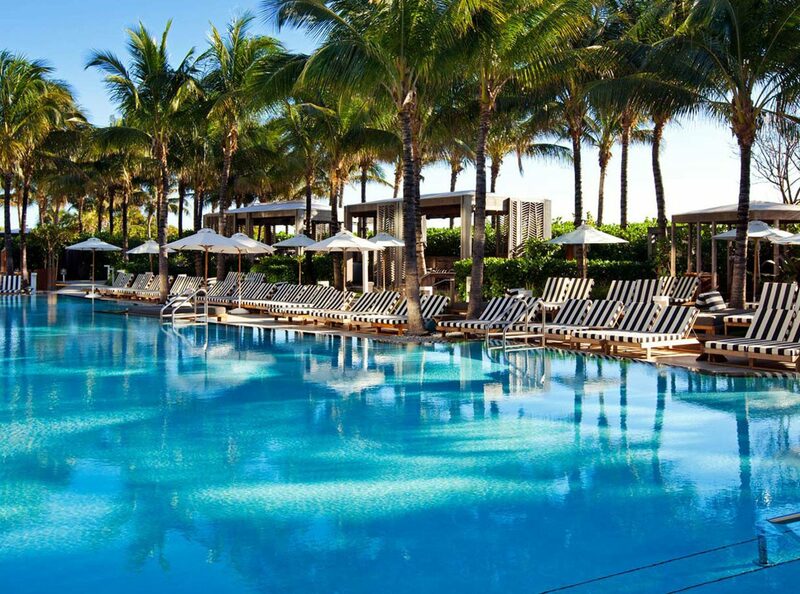 The Eden Roc’s most interesting neighbors are its fellow Mid-Beach hotels. 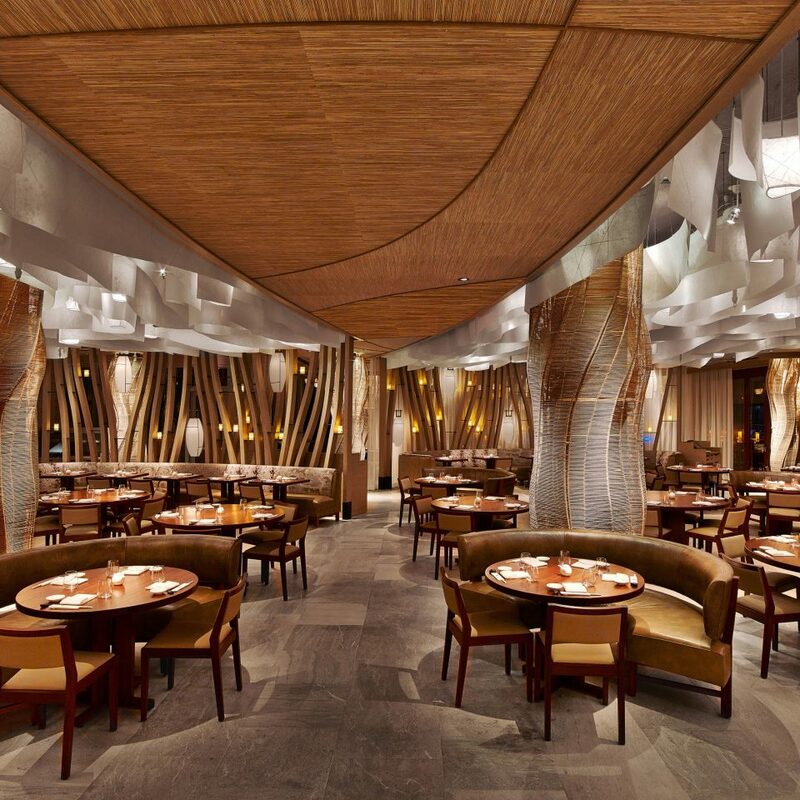 Next door is the Vegas-esque Fontainebleau and its slew of high-profile restaurants including Scarpetta and Hakkasan — worth a visit for the luxe Chinese den decor alone. 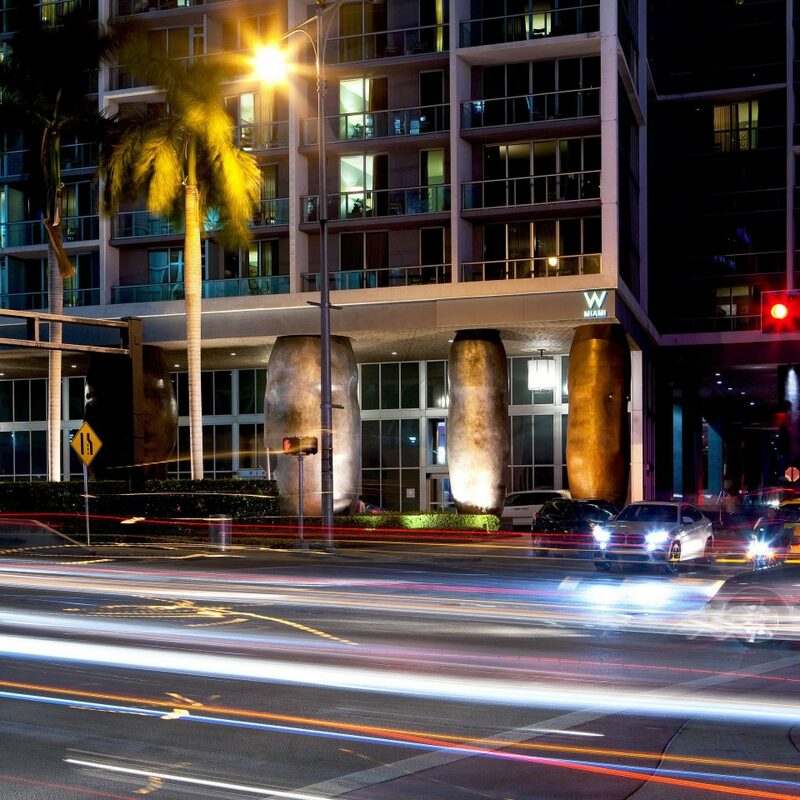 Also here is the LIV nightclub, which plays host to internationally acclaimed DJs five nights a week. 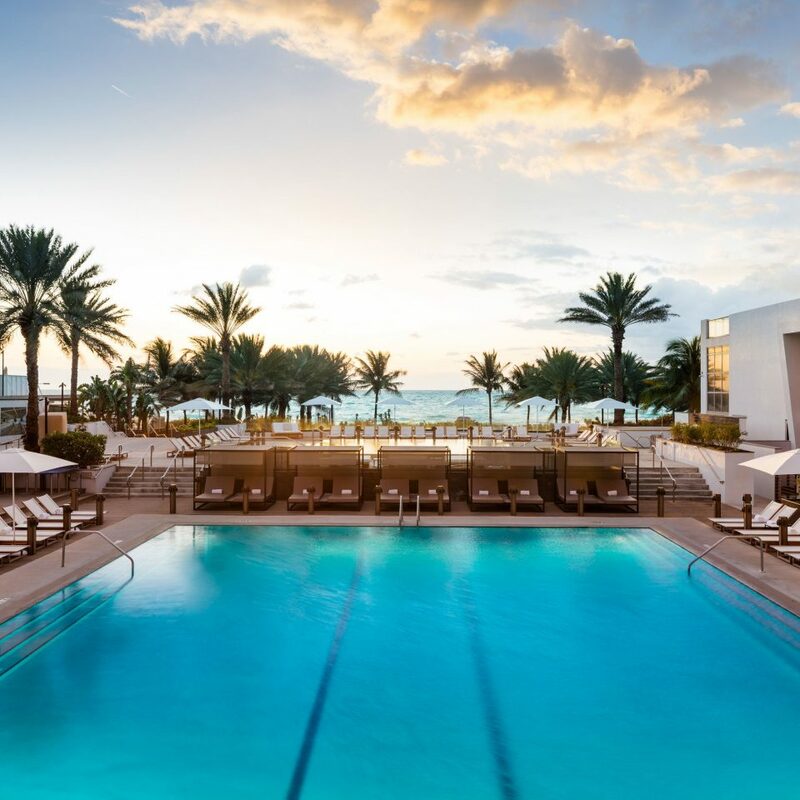 Just around the bend on Collins is the Soho Beach House; while most of it’s open only to members and guests, you can get a peek at the scene with a meal at Cecconi’s (the fairy-light-strung patio leads onto the main pool deck, making for prime people watching). 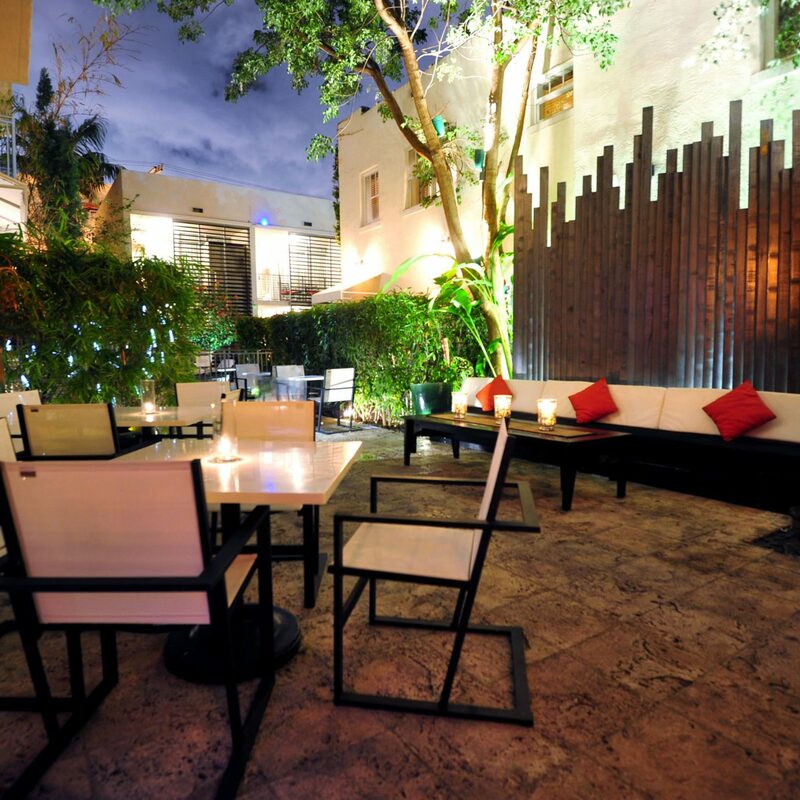 And to prove that Miami can pour a craft cocktail with the best of ’em, there’s the Broken Shaker, where locals and cool kids alike sip mixology-driven drinks infused with fresh samples from the garden. 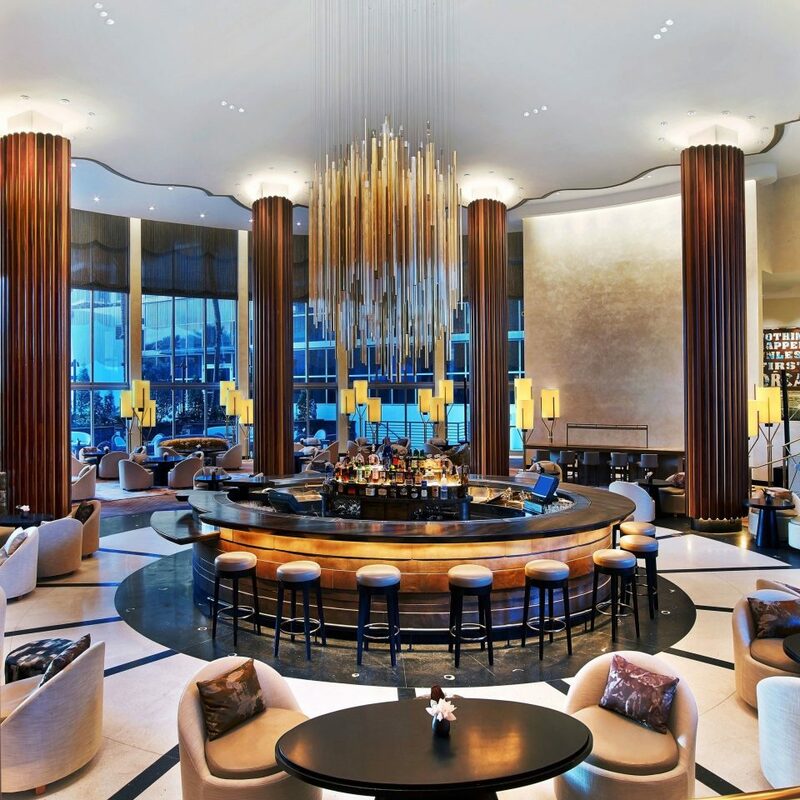 Eden Roc is a great family friendly hotel in my experience. Our eight year old had a blast at the private beach and the pool(s). The rooms were quite spacious, clean and upscale. I wholeheartedly recommend Eden Roc to families and couples alike. Special shout out to David, Aziz and Nicole for making our stay wonderful and memorable. We will definitely go back. 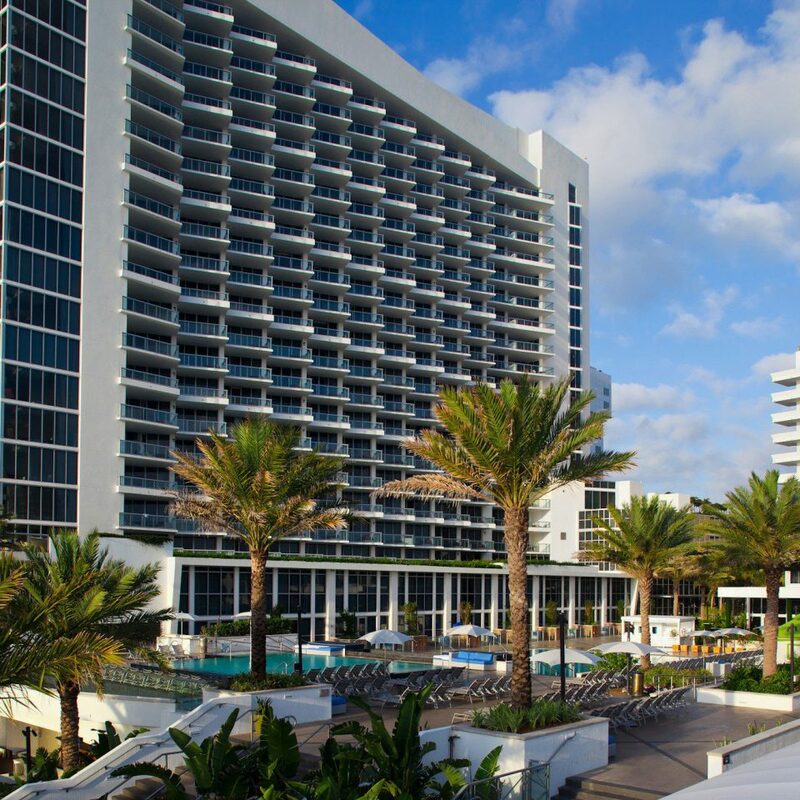 My family and I stayed for 1 week at Edon Roc in Miami and had a wonderful time. The staff were amazing from room service to the bartenders and waiters at the restaurants. Ariel at the Nobu for breakfast was fantastic and he would attend to our little kids at every chance he got. I also highly recommend visiting the lower level pool bar where Vojislav will take care of you and make any drink you want or can think of...he was awesome! My father is elderly and sometimes he has a tough time communicating what he wants and Vojislav would make a point to come to him and listen for what he wanted. I would definitely take my family back to the hotel for another vacation. We giving this hotel a 5 start rating for one reason and one reason only. I’m the type of person that never gives 5 stars but this person earn the hotel 5 starts even before I checked in you might be wondering why. I will tell you. 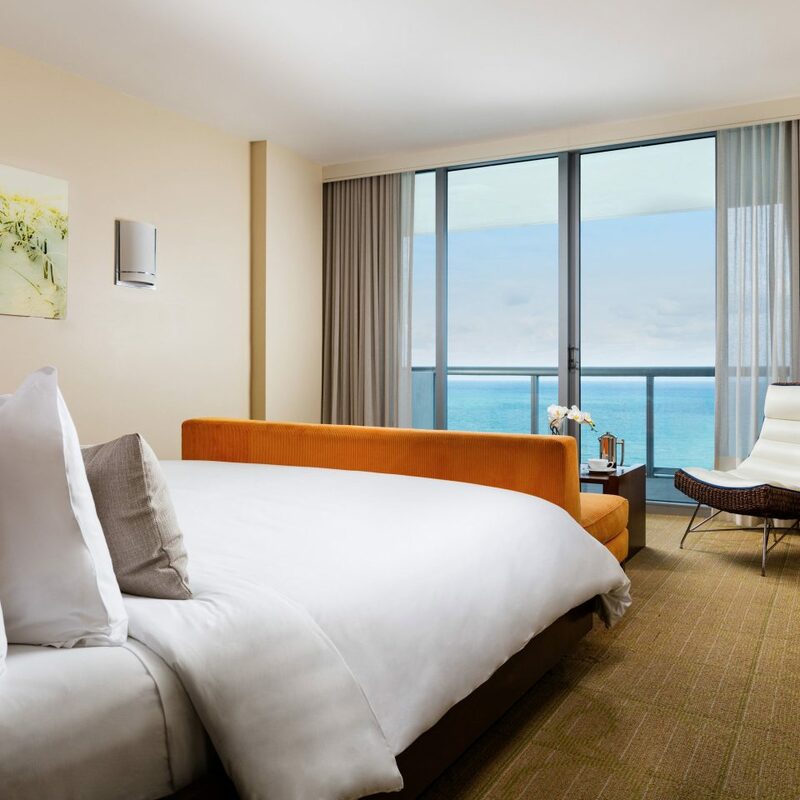 Pre arrival: I made a reservation using a third party booking site found such an amazing deal that I couldn’t pass up, initially I was kind of upset at myself because all our friends had booked at the Fontainebleau Miami Beach. I waited a few days to call in to make sure my reservation was confirmed and this is how I met AUDREY RODRIGUEZ , we discuss the reason for my visit I told her it was my wife birthday first time in Miami, friend at FB next door we talk about a few thing while she looked up my reservation that day she couldn’t find my reservation so she gave me options let’s wait a few days and call us back. I waited about 4-5 days and called back, when I did call back I could never get anybody to help to just check my reservations it got the point that I was really being disappointment that I booked the Eden Roc, so I gave it another shot but this time I requested to speaks with Audrey Rodriguez, Audrey remember my name when she heard my voice she confirmed my reservation and she just has this gift super friendly person. When we checked in without knowing anything we got upgraded to the Miami Suite got a $50 Resort Credit later that day we received a little birthday cake and sodas and waters (discuss we didn’t drink) at the point I knew it was Audrey that made all this possible since she’s the one that we talk about my wife birthday, so Audrey Rodriguez Thank you, you made this hotel experience 100 times better. I will only rate the lobby halls ways and room since we didn’t even see the pool or the beach of the resort. The lobby is super clean and smells so fresh we loved it, I would suggest that a check in lines gets set up as I didn’t see one and the check in can be a bit confusing on who’s next in line. The hallways are a bit on the older side but they do a great job of keeping it clean. Our Room the Miami Suite was really big amazing restroom and great views to the bay and a partial ocean love it. One thing the I would change the bed wood around the bed both my wife and me hit our self a few times. 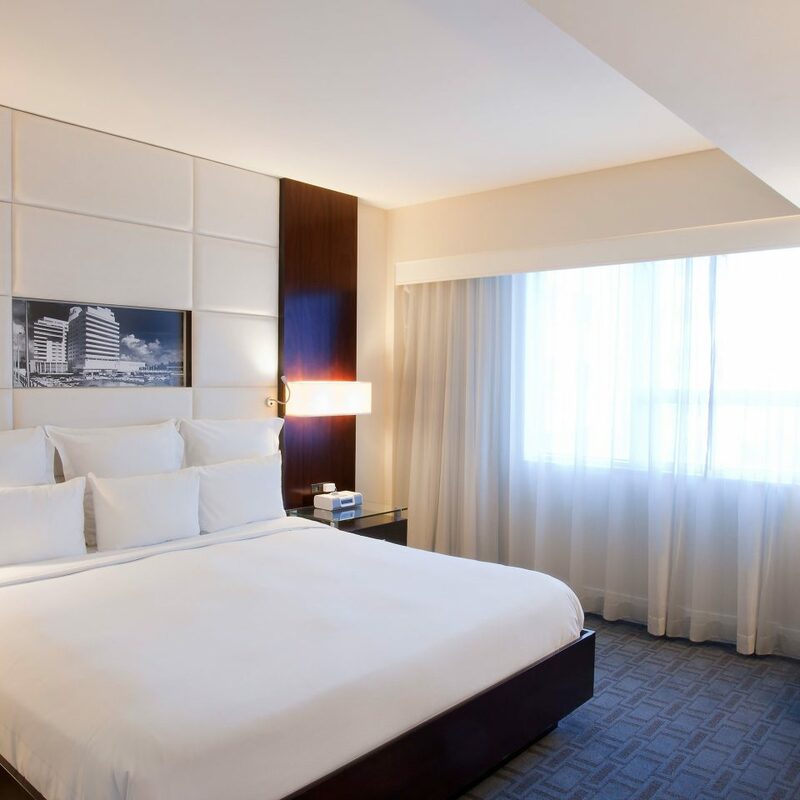 Had to come into town last week for a conference at last minute and could not get group rate due to last minute but props to my man Raul in reservations who made it happen with a sweet room and good rate - he even included parking for me! The room was very nice with a terrific view of the ocean and had a balcony which was perfect for when I wanted to work at night. Breakfast was good and lunch at Malibur Farm was tasty and quick. Thanks to the UPS store Camilo for saving me with a last minute fedex. Overall a good trip and good staff.